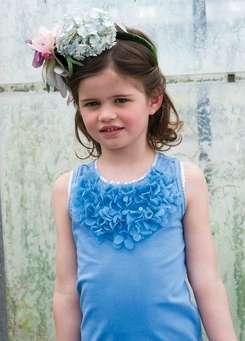 Cute blue tank top with flowerettes at chest for added drama. 95% cotton, 5% lycra. Imported from Holland.